(Nanowerk News) Organic semiconductor materials are already being employed today in solar cells and organic LEDs (OLEDs) amongst others. Until now, however, little was known about how the doping molecules are integrated into the chemical structure of organic semiconductors. The Molecular Systems Joint Research Team of the Helmholtz-Zentrum Berlin and Humboldt-Universität zu Berlin at BESSY II have now analysed this with surprising results. The molecules are not necessarily uniformly dispersed in the host lattice, as it is usual with inorganic semiconductors, but instead form what are known as co-crystallites. The doped organic semiconductor consists of a matrix of undoped crystallites in which such “mixed crystallites” are embedded. It is this very species that takes over the role as the actually doping molecule. The results were published in Nature Communications ("Charge-transfer crystallites as molecular electrical dopants"). Current semiconductor technology is based on silicon, an inorganic semiconductor material in which impurity atoms are introduced – or “doped” – for use in electronic components to increase conductivity and tailor the electronic structure. However, organic solid-state materials made of conjugated molecules or polymers can also exhibit promising semiconducting properties that make their application feasible for organic electronics. The enormous application potential of organic electronics has been clearly demonstrated for example by the success of organic LEDs (OLEDs) in the recent years. 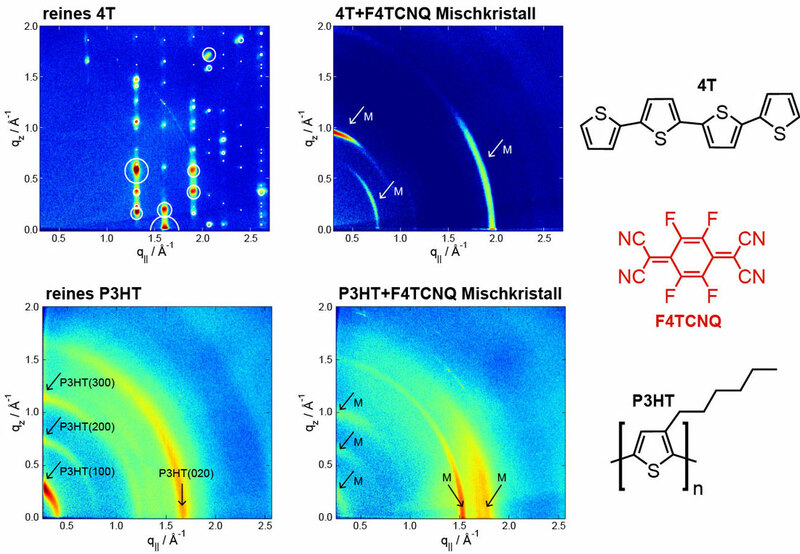 Oligothiophene (4T) and polythiophene (P3HT), two typical organic semiconductors, can be doped with a second type of molecule – such as a strong electron acceptor (F4TCNQ) for example – to control the electrical conductivity. However, until recently, how these guest molecules are exactly integrated into the host structure was poorly understood. A homogenous distribution analogous to that in inorganic semiconductors had therefore always been assumed. An international group headed by the Molecular Systems Joint Research Team at the HZB and Humboldt-Universität zu Berlin has now been able to demonstrate that this is not the case for either oligothiophene or polythiophene. The group, co-led by Dr. Ingo Salzmann and Prof. Norbert Koch, had previously experimented with and already modelled other systems to learn how doping organic semiconductors affects their electronic structure and thus their conductivity. This produced clues about unusual characteristics of this class of materials in which hybridisation of the molecular orbitals plays a key role. 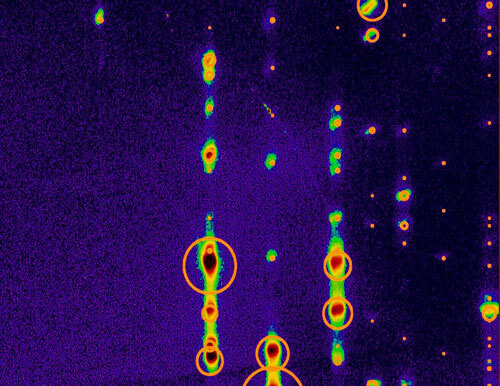 They therefore fabricated a series of organic thin films with increasingly heavy levels of doping and investigated these samples using X-ray diffraction techniques at the KMC-2 beamline managed by Dr. Daniel Többens. They were able to precisely determine the dependence of the crystalline structure on the degree of doping using this technique. Their results for the organic semiconductors 4T and P3HT showed that the guest molecules – quite contrary to the expectations – are not uniformly incorporated in the host lattice at all. Instead, a second crystalline phase of host/guest co-crystallites is formed in the pure crystalline host matrix. These co-crystals function in the role of dopant in place of the actual, pure doping molecules in such systems.